By: Stacy McCullough Are you always looking for the time? Do you always grab your cell phone or ask your friends because you can’t find that perfect watch? Sometimes it’s hard to find a watch that is both practical and stylish. With the Invicta 323 Men’s I Force Watch, you can have it all at a semi-affordable price. 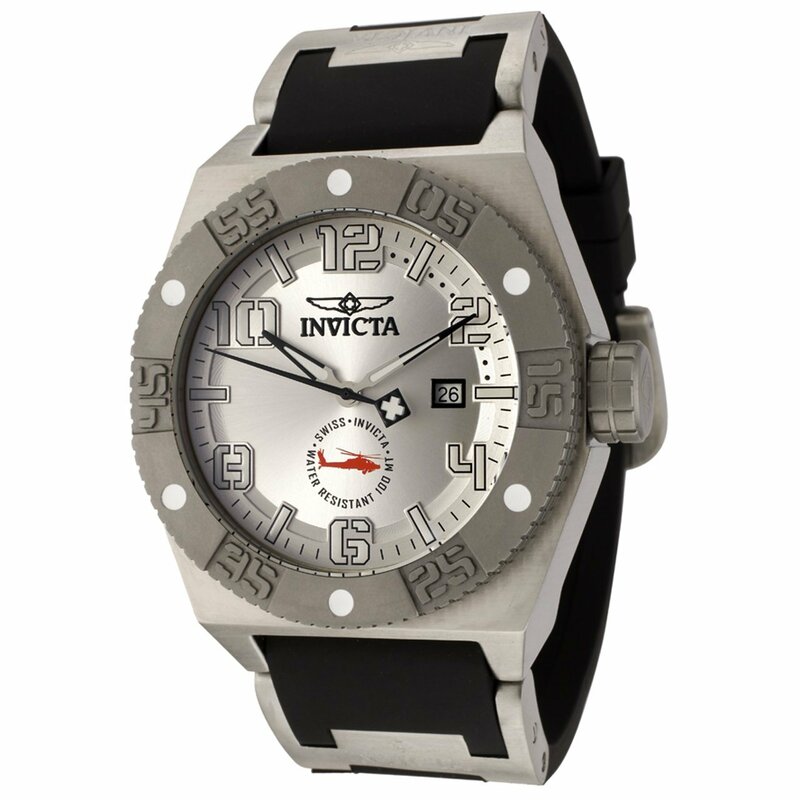 The Invicta 0323 is made with a beautiful mix of metals that give it a very masculine feel. While the case is stainless steel, the bezel is actually made of sandblasted titanium. The bezel is the piece that is responsible for holding the mineral crystal face in place, so you will have one extremely durable watch. Titanium is almost impossible to break and the mineral glass on the I Force won’t scratch easily either. All of this is held together with a sturdy black polyurethane strap. The Invicta men’s watches are known for being massive, so make sure you know the dimensions prior to purchasing. The strap is a standard length for men’s, but the case is rather large: 51mm around and 16mm thick. If you don’t have big wrists, you may want to consider the mid-size line. While this watch says, “look at me, look at me,” it also comes with quality function, too. The 323 has Swiss Quartz movement so it will be highly accurate. The dial is silver with black clock hands that will glow to give you access to the time all night long. And this watch­­­­­­ will even keep the date for you so you’ll never miss an appointment again! Each hour marker is also luminous and the analog face uses Arabic numbers. Best of all – it’s water resistant up to 330 feet so with all those glowing numbers you could even tell time under water! This watch retails for $595. It may be a lot of money to spend on a purchase like this for some people. But avid online shoppers can easily find the 323 for under $100 on many e-stores. If you are a man with a small wrist, this watch may be too large for you. You may want to check out similar Invicta watches such as the 0873, 0851 or 0855. But for those of you with bigger arms who want a show stopper, the Invicta 323 Men’s I Force may be just what you are looking for.